Transparency is crucial in the car buying process. Our loyal customers near Hartford, Wallingford, Berlin and North Haven deserve the opportunity to understand the process from start to finish before sharing any information. 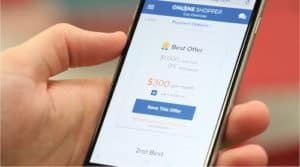 We believe that Online Shopper will help maintain transparency, reduce the stress of buying a new or used vehicle by keeping things simple and most importantly, assist in making your car buying process easy and convenient! Choose Your Vehicle: First things first, find the vehicle you’re interested in. Then click “Explore Payment Options” and a new tab will open. Answer questions: We gather your name, driving habits, credit score and we check for any rebates that you may qualify for. 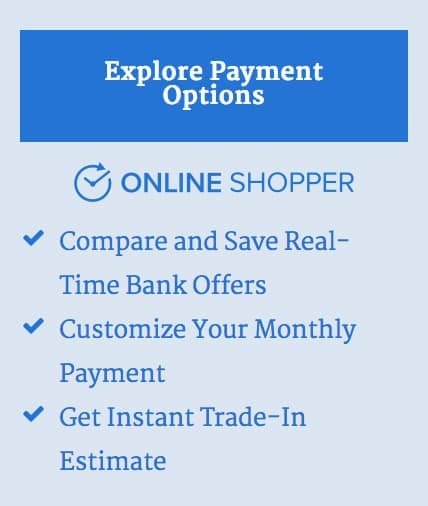 Your answers will help Online Shopper deliver the best payment options available to you. Provide Trade-In Info: If you’re trading in your current vehicle, you will provide details about your vehicle, such as make, model, and condition. Down Payment Info: If you’re planning to make a down payment, let Online Shopper know how much you would like to put down. You will not be making the actual down payment at this time. The tool is gathering information to create offers for you. You will be able to change your downpayment later in the process, too! Choose Finance Terms: Based on the information you provided, Online Shopper will provide lease and finance offers based on your credit score, mileage, and down payment. Lease or Finance: You will have the option to choose between the lease and finance offers available to you. You have the option to change your downpayment, change the duration of the lease or loan, and ultimately create an offer that best suits your budget.